Tom Ellard from Severed Heads has re-released an electronic version of the three cassettes called "One Stop Shopping" which were originally included with SLUG Magazine in 1981. In collaboration with places+spaces' Cockatoo Calling, Utility Fog presents a very special afternoon at Warehouse 15 on Cockatoo Island, with some of our favourite Sydney post-folk-rock-tronic artists. with DJing by Utility Fog's Peter Hollo and associates between acts. The event will run from 1pm to 6:30pm and is BYO. The summer bar will be open on the island, and there is a picnic area outside the venue. Open Air exhibition is a multimodal mediation by Chris Caines on the tradition of landscape as a subject of artists in Australia from 19th century painting to the media arts of the present day. The Open Air project includes a video installation in the Gallery space and a locative audio essay iPhone app for the Curlew Camp Artist's Trail at Little Sirius Cove. You can find the "Open Air - Locative Audio Essay" app in the iTunes app store. Produced in partnership with the Centre for Media Arts Innovation at UTS. Chris will create a video installation within using the romantic ideas of the Plein Air tradition as a starting point. These video and audio pieces will be aural and imagistic fictions that imagine possible Australia's and alternate histories of art and nation that spring from the crucial fulcrum of events unfolding in the late 19th century to which the images produced in these locations are central. The video work will be linked to a site specific GPS iPhone application which can be viewed at Sirius Cove. Together, Chris' video installation and iPhone application will create a strong sense of place and form a link between the Gallery and Sirius Cove, highlighting this important part of Mosman's rich cultural heritage. WIRED OPEN DAY is your opportunity to experience the immense range and creative applications of the 'wires' and The WIRED Lab arts initiative. Featuring artists from our annual residency program WIRED OPEN DAY presents performances and installations in response to the wires and their immediate environment. WIRED OPEN DAY includes 15 artists from around Australia who will realise a new composition by Alan Lamb, David Burraston and Sarah Last, with appearances by William Barton on didgeridoo and his mother Delmae Barton on vocals. Joyce Hinterding and David Haines will expose us to the electromagnetic world(s) that surrounds us. 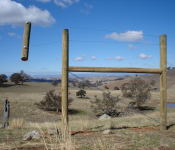 Garry Bradbury & David Burraston present their ‚ÄòDormative Fields‚Äô wire music installation. Chris Watson‚Äôs installation unveils Box Gum Grassy Woodlands habitat through a 24-hour time compression of field recordings. GIRRL, [girrlsound & digitalgirrl], is a new Brisbane based international organization/hub/forum for women working in or around or interested in the digital and sonic arts. Its aim is to provide discussion, feedback and reviews, present research findings, offer networking, project generation, exhibition space, testing and showcasing of work in progress, initiate collaborations, support for women curating, reviewing, making, theorizing and working in the digital and sonic arts. Dancecult: journal - special issue on the DJ, was released on 16 June 2011. Dancecult is a peer reviewed e-journal specializing on EDMC (electronic dance music culture). This issue has articles on DJs at NYC's "The Saint" nightclub, the changing roles of the DJ in Vienna, the "maleness" of drum'n'bass in London, DJs and cyborgs, psytrance DJ Goa Gil, part one of the Nomads in Sound series, a couple of articles on turntablists and hip hop DJs, the techno scene in Stockholm, a look at the EBM/Industrial DJs, as well as book reviews. A bumper issue! 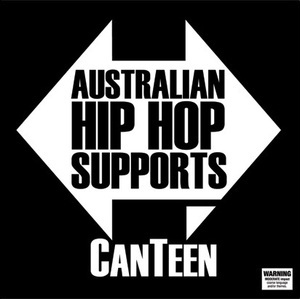 I was really excited to hear that Brisbane band Step It Up had a new EP, "Push", out in 2011 on Zyl Records, as I'd loved their earlier work on their self titled album released in 1996 and I'd seen them perform in Brisbane when I lived there in 2000/2001 or so. The new EP has different versions of the song "Push"‚Äîwhich includes a sample from their popular song "Flex" with mixes by Obese Bass Beast and Unison Sound System. There's also a new song called "Nudge" by Blunted Stylus (aka Geoff "Jigzaw" Blunted/ex Resin Dogs/Hydrofunk). The musical lineup has changed slightly over the years, but there's still a range of music styles and techniques explored on this release‚Äîfrom house, to jazz, to drum'n'bass, to bass-music and beats'n'squelch styles. All in all, it's a pleasure to listen to and I'm looking forward to hearing their future sounds, as well as the cache of songs yet to be released. Des Reid was kind enough to answer a few questions about the band and its future directions. Keep an ear to the ground for their live gigs in Brisbane and elsewhere‚Äîyou'll be in for a treat from these talented musicians! >> for the "borrowed moog and juno mix", song #1 on Push‚Äîwhat's the story here? who'd you borrow the moog and juno from and can you keep them for a while? > The Moog Prodigy belonged to Manny, our old keys player. I should have bought it when he sold it. The Juno 60 was DJ Damage's. They're both killer synths. I've since acquired a Juno 60 and JX-3p. >> are there any favourite gigs, or memories of them that you'd like to share? > The "Vibes on A Summer Day" festivals were always great. They were before festivals became commercial and unaffordable. Bondi Pavilion was a great venue. It's always nice to see a thousand people jumping up and down to your music in the sun from the stage. > I have been learning some Arabic music and playing with some great oud players. We have an unreleased track called "√èntefada" and a new one called "Free Gaza". I've always been interested in Indian music since seeing the Mahavishnu Orchestra, although I haven't studied it thoroughly and authentically. One of our best new tunes is an Indian groove tune called "Only One I know". That's partly because it's the only raga I know properly! Rohan plays in proper Indian ensembles in recitals at the Hindu temple in Virginia up here in Brisbane. >> who are the band members of Step It Up? > We've had some fantastic players in the past who have left town like Craig Hanicek, Darren MacPherson and Gavin Manikus on sax, Godoy and Steve Falk on percussion and DJ Frenzie. Terepai recorded the drums on "Flex" for us too. Steve is a great drummer and is in great demand in Brisbane. He tours with James Morrison too. Neil Wickham is our great new sax player. He has a brilliant fusion type sound. The sax can't be too mellow in this type of music or it loses the edge and blands it out a bit. Rohan Somasekaran is on keys. He is an awesome piano player and leads his own straight-ahead jazz outfit too. We're adding more synth to the live sound too. I [Des Reid] play bass mostly live, but also a bit of guitar and guitar synth. I want to start contributing to the percussion too, but only in a support role‚ÄîI'm only a simple player. DJ Damage does the cuts on the EP. He's also in Terntable Jediz and The Optimen. He's one of the best turntablists I've ever seen. Roger Gonzalez is our percussionist. He is a conga and cahon specialist, and a fantastic groove player. Marcelo, who played on the "Push" EP moved to Canberra unfortunately. We have loads of percussion recorded by him in the vaults though. Also heaps by his brother, Luis Schiavi‚Äîa killer timbales player. Overall we have a giant backlog of tracks which we will be finishing and releasing soon. Although we haven't been playing out as often over the last few years, we never stopped writing and recording. We're sitting on a few albums really. The new label‚ÄîZyl Records will be our outlet now that we're organized. >> do you improvise during the live sets too? > There is a lot of improvising live. We follow the jazz tradition of arranged head‚Äîimprovisation‚Äîhead. We try to keep some tightly arranged sections too. One big feature of our sets is the breakdowns. We don't just have horn or keys solos‚Äîwe have big sections where the drums, percussion and DJ are improvising together, feeding off each other. According to Cuban tradition, when two or more percussive players are resonating, that's when the spirits come. We're a bit tribal really. 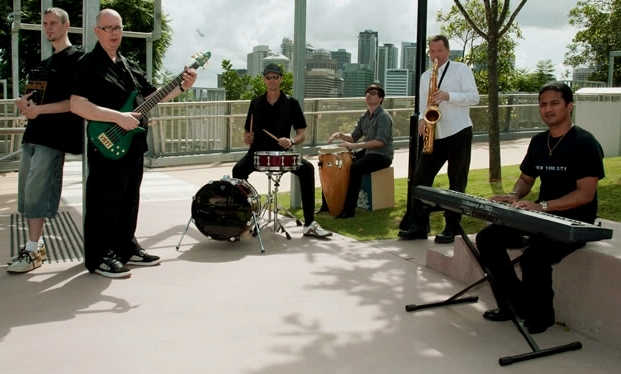 Step It Up will be playing at the Fortitude Valley 2011 Jazz Festival on Sunday 29th May @ the Royal George Hotel from 2-5pm.